You've dreamed of your child attending college, but have you planned for it? 1A plan of regular investment cannot assure a profit or protect against a loss in a declining market. 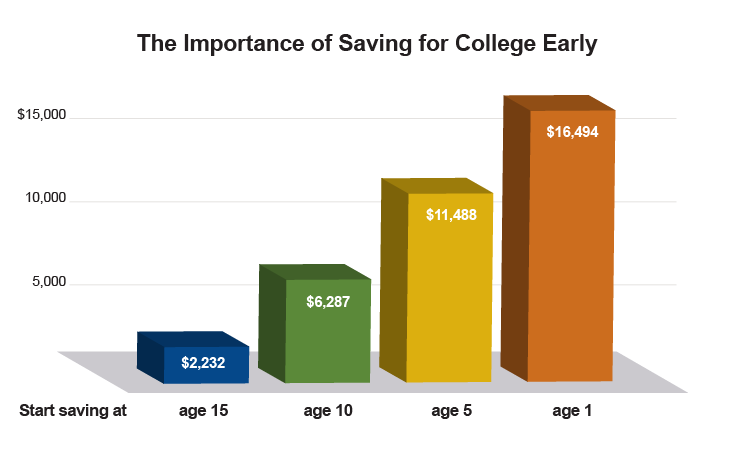 2The hypothetical example assumes college begins at age 18 and is based on a 5 percent rate of return compounded annually, and is for illustrative purposes only. It does not reflect an actual investment in any particular 529 plan or taxes, if any, payable upon distribution.